Join Greg Hunter as he goes One-on-One with Boston University economics professor Laurence Kotlikoffand creator of Kotlikoff.net. SIPC has a rebuttal to Dr. Kotlikoff. Here’s the link from Forbes: SIPC’s Rebuttal To Kotlikoff: Don’t Close Your Brokerage Account! If you would like to follow the work of Professor Kotlikoff, you can go to his free website at Kotlikoff.net. If you want to find out about the enormous debt problem of the U.S., please go to www.theinformact.org. Other sites recommended by Professor Kotlikoff include: jpmadoff.com, www.thepurpleplans.org and www.thecommonsensetax.org. SIPC sounds like an insurance tool for the ponzie schemers rather than the investor. It is totally confiscatory in the description given in the interview. What is amazing is that it seems to be totally unfunded . That in and of itself should get somebody a lengthy visit to a 10×10 box. The situation gets more sickening nearly every day now. Thx for another great interview, Greg. What a Colossal Game of Musical Chairs. Brace yourself for when the music stops. your opening “they dont put the stupid people in the reagan, bush,cliton, admin.” -refering to Laur. K. working in the reagan admin. They gathered them ALL UP and dumped them in the obobo admin. allen ols, Ron Reagan kept the crook’s, shyster’s and neo=conmen an women at bay in Washington, an Wall St., long enough to bring 20 year’s of peace & security, between civilized nations and shore up the middle class, because of guy’s, like Kotlikoff. this man has brains and the American people’s back! Ronnie was the great communicator and knew how to pick em!. But it didn’t take long for the crony capitalist’s, great separator an chief and our deep -dodo -state, to wreck it all, bringing about a second great depression, except this time not with tariff’s, but now, with sanctions! Can you believe it, or not? Now when all nation states, east and west, need to stand together to destroy the Jihadist threat and save our civilization, Berry and Kerry and Nu la la land turned to ISIS to save us and now IS, is eating our lunch and ready for a dinner date, in the land of the home of the still free and the brave, chicken hawk’s! Talk about boot’s on the ground, we’ve already got sandals on the ground! Right here in good old, allan ole’s, USA! Instead of securing our borders, were securing Europe’s borders and forcing Russia to turn to China, so we get bite in the ar$$ete’s, throwing our only true friends the Euro’peons unda the buss for what? A non-existent threat? The threat now is our own, deep dodo-bird department, because there creating, all these threats and hell bent, salivating, chomping at the bit to bring us WWZ! Until this moment, the main reason why everyone mostly dismissed Europe’s sanctions against Russia is that despite all its pompous rhetoric, Europe consistently refused to hit Russia where it would hurt: its energy titans Gazprom, Rosneft And Transfneft. The reason is simple: by imposing sanctions on these core energy exporters, Europe would directly threaten the stability of its own energy imports (Russia accounts for up to 30% of German gas imports), and as winter approaches with every passing day, playing with the energy status quo would seem like economic suicide. This all appears to have changed last Friday, when as the FT reports from a leaked copy, Europe’s latest sanctions round will boldly go where Europe has never dared to go before, and impose sanctions on the big three: Rosneft, Gazprom Neft and Transneft. This is what is known in game theory terms as a major defection round. It also means that suddenly the stakes for Russia, and thus Europe, just got all too real, as Putin will now have no choice but to really ramp up the retaliatory escalation, which following the food ban can only mean one thing: a staggered reduction in gas flow to Europe. It also means something else: recall that it was just ten days ago when we Zero-hedge reported that Gazprom would begin accepting payment for oil in Ruble and Yuan. If today’s news is confirmed, Europe’s dramatic shift in sanctions strategy means that Europe’s embargo of both the US Dollar and the Euro will accelerate as Russia further intensifies its shift away from both the west and the petrodollar. The only and clear winner here: China, which will almost certainly step in to provide the funding Russia needs, however on Beijing’s terms, in effect making the symbiotic link between Russia and China even stronger, forcing Moscow to rely almost exclusively on China for trade and funding relations, and suddenly give Xi Jinping, all_ the trump cards. That’s ah lot of Trump’s! He who owns the gold rules. fORGET OIL, GAS & CHEVRON, fRACK GOLD! Greg this was an interesting interview, but at this stage of the game I’m struggling with why anyone would place their investments on anything that’s paper. The markets are completely rigged, everyone knows that, and as far as Ponzi Schemes, the whole system is corrupt from top to bottom. But Greg check this out. NATO has decided to expand their economic sanctions to Gazprom, and several major Banks in Russia. Greg would you like to guess what the reaction has been? Folks pay close attention: As of 4:00 CST Sunday I am receiving reports from my inside sources that cyber attacks originating from China against U.S. financial institutions has begun. I am by no means a banking expert, but my guess is that if your Bank is one of them, it may be on lock down come Monday morning. I can’t confirm this, but it does make sense, since the Chinese just signed a gas deal with Gazprom and the Russians a few months ago. Our entire economic system is in the hands of a group of desperate western cabal members that have run out of tricks to keep propping up this rotten system . And now they’re messing with Chinese investments. Not smart! This is going to get real ugly, and if I were any of your readers I would be thinking about a plan B real soon. Greg do you remember that July 15th date for the Russian Invasion in Ukraine, I set that didn’t happen? It turns out the cabal shot that get liner down on purpose, so they could stall off the invasion by blaming the Russians for it, and direct world condemnation to them. That’s how desperate these people are. Do really think they care how much damage they will inflict to our fragile economy by launching a full blown economic war with Russia and China? The first casualty of the NATO / Russian economic war. Japans economy. Another Insurance scheme to match Kotlicoffs. I read your post “Did you wonder why Ukraine wanted a cease fire?” Those numbers are staggering in such a short amount of time. It makes so much more sense to me whythe Ukes came to the peace table so fast. Also it appears as if they did this “damage” with a minimal amount of forces (troops, tanks, palnes etc) …in a very short amount of time. If your numbers are correct, then there forces amd their equipment must be exceptional. About wice a week I have to stay up very late and I hear some of the BBC broadcasts, the bias and total disregard for the truth about Uke is astonishing to me, they act as if the Russians are a 3rd world country and the Brits still rule the world. They have concluded that Russia will submit soon enough based on these sanctions, but they say it with the the most extreme arrogance. Also, whats Russia’s next move with these sanctions…this is like sticking it to Chevron, Exxon, Mobile very very dumb IMHO- What sya you Jerry? We are headed for disaster in Ukraine. The American people are not being told the truth. it becomes more clearer every day that we are being isolated by the rest of the world, and in matter of months will be cut off financially. Jim Willie was correct. Ukraine is the death rattle of a dying empire. If you can, get out now. If not prep as hard as you can. Saw something interesting recently…on the back of a dollar bill, the eye over the pyramid was blacked out. Looked like a non-seeing eye. Ha, ha. Two things I wanted to comment on: 1) A Dr Cohen ( who seems to be an expert on Russian history and current events) – reports the same thing you say “That NATO is playing with fire and that a small force of less than 15k Russian rebels are reeking havoc on a 50k+ Uke army. And that NATO trying any type of military incursion will be decimated, especially if the Russians give it a go on their million+ man military. 2) It looks like the “Russian rebels” are making all these gains with the “JV” team. That they have not sent the real military might in to make it happen. Just an observation. A free press means a free people, a scared press means Benghazi and the creation of ISIS, with IS in our border’s! Why are our people so well armed? Do we fear our government, does our government fear, we the people, or do we all fear each other? Our politically incorrect, scared press, has let us all down the drain. There afraid of the real pertinent news’s, so they give us dribble and we get a crooked Wall St. and government along with a not so federal reserve! They say, “money talks and B.S. walks”, wait till we wake up one day and realize our money took off hyper_ inflating, but it’s purchasing power crashed and it will be our own fault. Why, because we don’t have a real, free press, anymore. So if our not so free press, doesn’t start doing it’s job, we wont be a free people anymore and heads will role. It’s as simple as that. Just remember, a free people can beat the world at war or tiddlywink’s, but we must be free, or we might find ourselves, fighting our friends. PS. Greg’s got your back, don’t forget that and cry not! You’re talking on your phone and watching television when all of a sudden the entire grid goes down. You have no phones, no computers…nothing. Now what? This little $50. investment may just save your bacon. A hand held Ham radio. Trust me. I have rushed into disaster area’s following tornado’s and Ham radios are the only thing that works, that you can get out on. If you have the time contact your local fire department for classes. Get trained. And join the local chapter. And besides its fun to talk with people around the world. good call, I have 3 of the baofeng uv 82’s and 3 -16″ whip antennas, for better reception, etc. they even have a map light. Most all retirees I know incl myself are invested in div. paying stocks and bonds in Edward Jones or Raymond James, two conservative firms. How the world can you make money in bank savings to supplement income? Tell me how other than this. Cost of living is getting high, I know of no other way to supplement SS and 401k income,…welcome comments. There are rare times when people should be most concerned with return OF principal instead of return ON principal. I think this is one of those times. Chasing return in this environment is like chasing death. I am not a money manager or investment advisor. Greg, good interview and as a follow up to the original question above, understanding that these are “rare times” what can you do with the cash if you take it from a brokerage account, place it in a FDIC account? What do you do with the cash? If they claw back assets they could go after everything you have. What’s Dr. Kotlikoff’s solution? You must first understand what cash (Federal Reserve Notes) really is and that is debt thus the term “Note” at the top. In other words debt is money and we are all about to find out that debt, is indeed, not money. That’s all I will say the rest is up to you. Greg, I do understand well what a federal reserve note is, but as you know it is the current currency we use in the US and Dr. Kotlikoff’s suggestion is to remove your cash from your Brokerages, okay, I get that as well. What I am asking is where are we going to put the currency? What is he proposing we do with all those Notes? Can’t put in a bank and reply on FDIC. We need to get out of this America is too big to fail syndrome. America is failing…. All currencies have fallen, that is why most people in the world are broke and make very little income. America is now rich with credit…. My take is go slowly. I am slowly getting rid of mutual funds and banking stuff and have paid down my debt. I am basically debt free in that my expenses are about 50% of what I make. Thus, I have some money each month…. I know you don’t want to hear this but these are the items that have longevity in value. Here they are…. Do what you want. But from my opinion the good ol SS and pension days are waning very fast…. I understand completely the possible problems our nation may face with our debt based system and our Fiat currency (FED Notes). I think I am prepared by first living completely debt-free, no auto, or personal loan, pay my credit cards in full monthly. My primary residences, as well as two rental properties I have that pay me monthly income are also paid off. I hold two private mortgage notes for monthly income, and I currently have about 22% of my investable net-worth in physical metals and don’t really wish to put too much more there. I have about 200k in Fidelity in a dividend based strategy that also pays monthly. I have a solid food and water strategy in place and we cycle daily. I see you have cash listed on your list, that’s really the heart of the question, if the FDIC system is, as Greg Claimed “in trouble” then where in the world would I put the CASH from the Brokerage? Michael. The point is that the FDIC has less than 1% insurance for all the electronic notes that are stored in the bank. Thus, you need some cash in hand and not solely in some account. If or when the dollar crashes, all the electronic digits will go with it. Thus, paper cash in hand will have some value for a short period when shtf….the choice is yours…. I have a 6 months emergency cash on-hand, I just left that off the post, I am trying without avail obliviously to see what the solution to the statement “get your cash out of the brokerage account” is. I think it’s insincere when someone says there is a major problem without also suggesting solutions! Hello, I have a portfolio of div. paying stocks i accumulate. I have been systematically closing out funds from main stream brokers. I then purchase the stocks directly from the Transfer Agent. Then at no charge i have the certificate issued. Check out computershare.com. Don’t expect a financial adviser to endorse what you see online about any coming market reset. I have yet to speak to anyone involved in investing into the system that will say one should pull out of the system. That is heresy to financial advisers. As far as they are concerned, the only way to invest money is via market funds. However, they are wrong. I’ve known a few people that prefer to invest in real estate, or directly in businesses, and they have done good and bad for themselves. The difference being they have a real physical, “hard” asset and not some promise on paper that has been sold to 100 different investors across the globe as a derivative product. I had a buddy asking about getting some physical metal. He asked his adviser, and his response was to buy into some metal ETF’s or mining companies. My friend told him no, I want to hold physical metal. His adviser told him he was crazy. We spoke about it and I told him the same things I am writing in this comment. He took money out of his market account and used that to buy physical metal because his financial adviser would not or could do it. I turned him on to OPM here in Ohio where one can get coins and bars without the US mint mark-up. His adviser didn’t understand the difference between a metal investment, and a metal asset (money) or why one might want to hold a metal asset. They figure they will make money in the market going up and coming down. To brokers and advisers, the worst thing one can do is pull their money out of the market because they depend on your money being there to support them as well. They are not impartial and will do their best to convince people to keep their money in the market. Ultimately, one must decide for themselves what to do. Follow your convictions, and right or wrong, at least it’s your decision. I prefer to not hold all my eggs in one basket. If one has all their wealth in Edward Jones, how many baskets are they holding? ONE PERSON WHO SAYS THAT THIS HAS A HAPPY ENDING AND WHY…. The closest person to that would be Catherine Austin Fitts and even she has some big fears in the derivative component of the global economy. You’ll just have to watch CNBC for that my friend. With all due respect 2-3 years ago CAF sang a much, much different tune. I first heard her on Coast to Coast about that time, here prognosis was EXACTLY like other guests you have here, she did an about face about 1 1/2 years ago. In fact it may have been the big reason why Mike Ruppert and her had a huge falling out. but down to earth, there can be no good out come for a loss of reserve currency status, when our manfg. has been shipped off site, our govmnt. president, congress, are all corrupt to the core, the banking sys is fraudulent, and corrupt to the core, the sheeple of this current galaxy, are 500% stupid, macarooonns if u will; our constitution is being negated, bill of rights rescinded, martial law at any time; queers marrying one another, church pastors committing adultery as fast as they can, muslim mosques popping up everywhere, christianity being kicked outta shcools, govmnt. bldngs. and our kids playing video games 20 hrs a day. Approx 50 mill. on snap cards, approx 100 mil. not working, etc etc. Hate to say it winston, “nothing good comes our way”, except following christ even to the beheadings sure to come. Ans thats a good thing. Al, I see what you did there, hahahahahah. Americans always do the right thing—after they have tried everything else!!! Sad, sad state of affairs… just about everywhere we turn. At least the FDIC has $50 billion give or take in its fund. The FDIC also has a line of credit at the Treasury. SIPC has a little less that $2 billion as of Dec 31,2013 (according to the SIPC web site) and only a $2.5 billion line of credit to the Treasury. The FDIC is woefully underfunded and SICP has a fraction of what the FDIC has. Now sleep tight and thank you for your comment..
lynn: I agree, the country is down the abyss and politicians can’t fix anything period. My friend wondered ( and I wonder) why patriot web sites just don’t shut down since all hope is gone. Form small groups and google in leaderless resistance. Stockpile what you can afford, folks enjoy what time is left. Business people I know who are tuned in refuse to pull money out of banks because they have to pay payroll, bills, etc and pay for college later using a brokerage firm for investing. Several preppers I knew have passed away recently; perhaps their prepping will be carried n by heirs I hope they do. 2 Corinthians 6:14-18 Be not unequally yoked with unbelievers: for what fellowship have righteousness and iniquity? or what communion hath light with darkness? (15) And what concord hath Christ with Belial? or what portion hath a believer with an unbeliever? (16) And what agreement hath a temple of God with idols? for we are a temple of the living God; even as God said, I will dwell in them, and walk in them; and I will be their God, and they shall be my people. (17) Wherefore Come ye out from among them, and be ye separate, saith the Lord, And touch no unclean thing; And I will receive you, (18) And will be to you a Father, And ye shall be to me sons and daughters, saith the Lord Almighty. Revelation 18:4-8 And I heard another voice from heaven, saying, Come forth, my people, out of her, that ye have no fellowship with her sins, and that ye receive not of her plagues: (5) for her sins have reached even unto heaven, and God hath remembered her iniquities. (6) Render unto her even as she rendered, and double unto her the double according to her works: in the cup which she mingled, mingle unto her double. (7) How much soever she glorified herself, and waxed wanton, so much give her of torment and mourning: for she saith in her heart, I sit a queen, and am no widow, and shall in no wise see mourning. (8) Therefore in one day shall her plagues come, death, and mourning, and famine; and she shall be utterly burned with fire; for strong is the Lord God who judged her. Revelation 12:12 Therefore rejoice, O heavens, and ye that dwell in them. Woe for the earth and for the sea: because the devil is gone down unto you, having great wrath, knowing that he hath but a short time. Is He selling a book? Mystery Babylon is the World System, and being a system – it follows COURSES. It could describe the whole course of western Civilization – from Roman, all the way through English Empire through American Dynasty to a One World government to come. Between the Matt. 4:8,9 and the Luke 4:5-7 Temptations of Christ – the kingdoms, glory, and power of the world are in the Devil’s hands to deliver to “whomsoever I will I give it.” Jesus Christ refused these – but mankind has been nibbling on that carrot ever since. Rather than a country in particular – Mystery Babylon is more the corrupt system of The Moneychangers through history (made My house – the world – a den of thieves) – who as the US has been the most prosperous and powerful on the recent world stage – may still be ellipsed, and technically would be wrong. P.S. Not even angels can add or subtract or modify the Word of God, the Bible. Unless they are fallen. Greg I am reminded of one of your former guest saying the ( illusion of creation ) will continue until knowledge of it becomes widely known. Every 4 days hundreds if not thousands find out the hard way. In the meantime the show big brother will be reset in one week. Only those outside the illusion of creation have knowledge of it. This is insanity. Essentially, govt will inflate at ever increasing speed to kick the can down the road and in a purported attempt to pay off debt. But debt is all that will remain, because your money will either be: 1) part of a bail in, 2) part of a bail out, 3) stolen in a fraud scheme that will get YOU sued for reimbursement, and/or 4) devalued so that it is worth nothing. Own precious metals and stock up on “stuff”. Hunker down for the reset, and “fear not”. 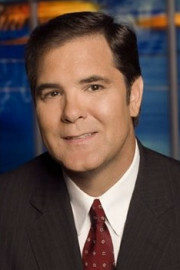 Greg, another great interview…thanks for all you do. For me, your comment pretty well sums it up in almost poetic fashion. Indeed the fraud is open and in every quarter. Only things that are real and tangible are of value– as has always been the case actually. The grace and peace of our Lord Jesus Christ be with your spirit Doug!! One more question? What is he doing to defend himself? They lined their pockets first. It would be better to get rid of SIPC and just give the money back to investors. They really didn’t provide much of a rebuttal. I get it, they don’t want to legitimize fake profits from ponzi schemes, but then they are selling insurance to protect investors from ponzi schemes, so what are they really selling besides administrative salaries to themselves? Is Obama Care going to make you want to vote for Democrats or Republicans in November? Good grief Greg! I hope that the 38% are driveby trolls and not actual Watchdoggers. This was way lopsided just a week or so ago. Like 72% wanting to vote republican in November. I am taking this down. This is troll action pure and simple. The real number is more like 72% GOP and 18% Dem and the rest went to the other two categories. Greg, great interview. Now, let’s get Jim Willie, for the rest of the story…. It would be nice to hear “expert” opinions on some of the other major threats facing the USA. Is is possible to get someone to help us understand the level of threat Americans face by ISIS … possibly on American soil? Also someone who can give unbiased reporting on the Middle Ease, if such a person exists? Yet more concrete evidence that we are just fodder for the Elite players. If you have no shareholding in “the club” you will continue to be a donator of resources. Time and time again we have more esteemed people (including Dr K.) denouncing the system and the myriad Ponzi schemes that are so very prevalent and the many instances of criminal activity without prosecution. Greg, kindly ask any one of your well credentialed guests …Why hasn’t a sole person been found guilty of these crimes and sent to jail. Why haven’t they been prosecuted ? I really would like to hear some informed perspective on that. The lack of prosecution is tantamount to Entrapment. Obviously those committing the crimes have inducement by regulatory authorities (impunity ?) to commit fraud. Why else would they be doing it? ( both committing and not prosecuting fraudulent activities). Not only do they bring new meaning to the league known as UNTOUCHABLE but the system is so far gone it is now rendered effectively unsafe and very unstable. The system is more than corrupt it is reprehensible. When viewed in the context of what Dr K. has extrapolated,…….. there IS simply no place to hide. What other clawback conditionality exist that we are yet to be made aware of. The possibilities are endless. S I G….donator of resources….. good comment. Excellent guest once again Greg! I have a question for USAWatchdog-listeners who know what they are talking about when it comes to stocks. One of Jim Sinclair’s big points is to Get Out of The System (or GOTS as he calls it). I agree with him. With regard to stocks Jim Sinclair says you should either register your stocks under ‘Direct Registration’ (DRS) instead of keeping them under ‘Street Name’ (which is the default option every/most brokerages have). Or even better: getting paper certificates of your stocks (which is much more hassle, but safety first right?) That is apart from your physical yellow metal stack of course:-). With regard to stocks, Jim Sinclair recommends Sprott as a broker. I know Jim Sinclair is a good and extremely knowledgeable man, but of course his own interest is that people will buy his stocks from the Tanzanian Royalty Exploration mine. I believe that his website is built for this purpose alongside his sincere motivation to warn the public for what is coming. Back to my question. 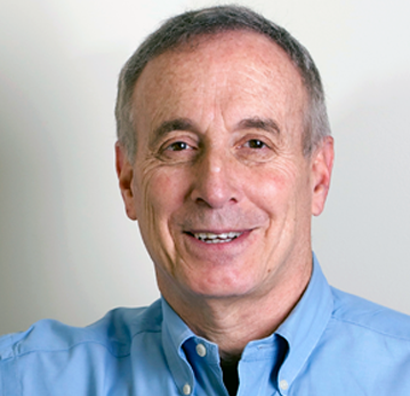 Greg’s guest Laurence Kotlikoff says that you should not put your money in any brokerage account because of the fraud. I agree with him when it comes to having your stocks at your brokerage in ‘Street Name’. Question number 1: is your money also in danger because of the fraud when you have your stocks under ‘Direct Registration’ or as paper certificates? Question number 2: is your money also in danger because of the fraud when your broker is Sprott (as Jim Sinclair recommends) or an European brokerage (where U.S. laws don’t apply)? Any reactions will be very much appreciated. Thanks in advance! Hi Mason, Mark here. Not to by any means diminish in value your previous posts and diligent efforts in contribution to the dialogue at this site, but, and not intending to be oversimplistic, I would comment that the understanding of “money” is where the weak link is. If it can be printed, it can be counterfeited and there are many, even under the appearance of officialdom who have proven that this is a scheme with no other intent than to confiscate the “real” wealth of those who have saved the fruits of their long years of hard labor in a system that is inherently designed to rob those very people of whatever “wealth” they had presumed to possess. Nothing is secure. Especially paper. Lawlessness abounds. Honorable Men do not govern. So beware and make your investments in things which you have direct control over. Time is short. As Jim Sinclair and others have advocated “GOTS”. Mason the grace and peace of our Lord Jesus Christ be richly with your spirit!! FEAR NOT!! Thanks for your reply, Mark. I appreciate it. You are right that paper is the weak link. As I mentioned you should first have a stack of yellow metal (apart from the prep stuff). But I like a little diversification. Besides from your yellow metal stack, you should focus on real wealth. In principle you are right to advise that you should only invest in things you have direct control over. But IMO for ALL paper assets to go to zero, there would either have be a hyperinflationary scenario, or there would have to be a scenario were every private and government institution would have to default. Even in a hyperinflationary scenario, the financial healthy goldmining companies would still be able to operate because they would be able to sell their product against very high prices (or get everything they want via bartering their gold). In an hyperinflationary scenario, healthy goldmining companies would even heavily outperform gold itself. So that is what I was basically talking about: goldmining companies, and I am sorry I should have specified that earlier but I tried to keep my question more general. With regard to the scenario that every private and government institution defaults (a more deflationary so to speak): I don’t believe that EVERY private institution will default. At least a few honourable ones will not default I think, and Sprott Asset Management could be one of the few (or only?) honourable brokers left, at least according to Jim Sinclair. If you have your stocks under ‘Direct Registration’ you have cut out the broker as a counterparty risk anyway. And if you have paper certificates you have cut out the broker AND the mining companiey as a counterparty risk. In any case, thank you for your response! This is good information on a growing Wall St. problem. How does he figure this 13 trillion dollar number? According to all published info the USA, on the books, is almost 18 trillion in debt. This will be 20 trillion by the time the next president takes office. If the interest rate goes up one percent it costs the government 200 billion. If it goes up to 6 percent it then requires all the income from personal income tax to cover it. The personal income tax brings in slightly over 1 trillion dollars. Corporate tax has dropped as not too long ago it used to cover the cost of the Military. But given the fact that the government can not afford even a one percent raise in interest rates what makes anyone think that the Fed will raise interest rates! The Fed can not raise the rate today or in the future as long as this debt problem looms over the country. There will be no near future housing boom. From my viewpoint there is only one way to solve this problem. It’s not going to taste very good. They have to liquidate the debt. What that means is the Fed will purchase and tear up the outstanding US notes. This brings the on the books balance to zero. They will need to address the off the books debt as well as the yearly spending. The military will have to be cut greater than 50% of it’s current funding. The dollar under this scenario will be worth ten percent of it’s current value. Yes this will be a hard pill to swallow but is better than the alternative. The alternative is we have a wild west scenario country wide for many years into the future where living by the gun will be the only way to survive. By the time the country is choosing the next president this problem will become more apparent. some where; ie CEDE & co., who?? He quotes Revelation and then gives his interpretation of Babylon..that it is the US. Consider this…. Greg, a stock certificate, besides being made of paper, is also fiat. In the world of stock there is a term called “watered stock”, which simply means overvalued. Why would anyone if they really believed we are headed for a economical collapse and or reset buy into watered fiat stock? Get your money in something you can trade on the street that people will need and is not necessary a threat and or illegal to the future militarized police departments such as canned foods, etc. When SHTF just trying trading your stock certificates for clean water and see how thirsty your get. Let the CNBC junkies eat cake! While professor Kotlikoff’s disclosure regarding the SIPC insurance scam is news to me, it’s not a surprise. I’ve come to the realization that the well-connected and the members of the deep state prey on the rest of us (the remaining 99%) like lions preying on herds of Zebras on the Serengeti Plain. To them we are little more than bipedal cash cows that they can milk for money whenever they wish. In other words, we are their chattel, and, sadly, I suspect there is little we can do about it. It may seem there is little we can do about it, but remember in this world which according to the scriptures “lies in the evil one”, we have the opportunity through the death, burial and resurrection of Him Who paid the price by His own spotless and sinless blood, to redeem man out of the “vain manner of life handed down to him by his fathers” and come into an inheritance that is “incorruptible and undefiled and unfading” kept in the heavens for you who are being guarded by the power of God by faith unto a salvation ready to be revealed in the last times.” (1 Peter ch. 1) to come into an inheritance which is “incorruptible and undefiled and unfading, kept in the heavens for you” having been regenerated with incorruptible seed through the Living and Abiding Word of God because remember it was not with “little coins of gold and silver” that He paid the price for your redemption, but with HIS OWN PRECIOUS BLOOD. Let’s face it, even the most powerful of the oligarchs are subject to death and as the scripture says: “it is appointed unto men once to die and after this comes judgment, SO CHRIST ALSO HAVING BEEN ONCE OFFERED TO BEAR THE SINS OF MANY SHALL APPEAR A SECOND TOME TO THOSE WHO EAGERLY AWAIT HIM APART FROM SIN UNTO SALVATION” (Heb. 9:27-28). The grace and peace of our Lord Jesus Christ be with your spirit Spanky!! FEAR NOT. I read an interesting book a couple of years ago. It was written by a landed wealthy lady who lived about 200 miles south of Moscow in the 1800s. She wrote a book documenting the lives of the Serfs that lived and worked on her families property. An interesting scene that she reported was seeing the tax collector come into the village from Moscow. In the event that one person in the village did not pay his taxes, the Czar sent his soldiers and didn’t take the property from the person who did not pay the tax, he simply had the soldiers take the property from the first homestead in the village that the soldiers came to. This was the scene that I thought of when I listened to this interview. Are you sure Burger King will not go into the mail order business? Maybe they can’t do that but they can sell the burgers in your local supermarket. No one seems to want to give Americans a job. This is just another example of total corruption in our country. It also begs the question: Why do we need a congress? Thanks for keeping our eyes open, even if we don’t do anything about the problems identified. I’m all for chucking the Congress – but can we chuck the president at the same time? Thank you deep straits at state! The Federal Reserve note, our US currency, is the ultimate Ponzi scheme. Just sayin. Fantastic interview, Greg! This interview however, more than any other, has left me with an anxious pit in my gut. I wish you had asked Kotlikoff, what he doing with his own money? Big banks have morphed into derivative casinos, the FDIC woefully underfunded, and Cyprus style bail ins are implied and/or written into law as the solution to the next crisis, meaning savers are unsecured lenders to the banks, thus anyone who is paying attention knows bank savings accounts are not safe. And SIPC insurance is a fraud that will not make brokerage account holders whole in the event of a collapse. So then aside from the obvious, such as buying physical metal and storing it outside the system, and/or stashing your cash in a home safe, what does the average person do with their savings? The SIPC scam is the same species of fraud as turning bank depositors into unsecured creditors whose money the banks can use to pay off their derivatives gambling debts when those go bad. It’s just another example of the corruption on which our entire government-sanctioned banking/insurance/investment system, and the government itself, are based. In other words, it’s no surprise, and when fraud in a society’s institutions reaches such proportions that it’s commonplace and fundamental to the continued existence of those institutions, that society is nearing its collapse. I have no job coz i’ve been fastin 4our Gov.Kenya since 2010’Jan.Elites wanted 2take ova since 2007 but God has been Faithful despite the turmoil we’ve been thru.Even USAid have closed shop coz the LORD is in charge now n not the illuminati forces.I Will be workin 4secular people soon.Sept29 is what is in my heart-Take flight.As much as we claim Grace;He’s also a God of the Sword.Don’t hate the player,hate the game n then ask 4revenge.Now Kenya is witnessin the punishment of the wicked(s) in Awe. Greg is it me or does this idea seem insane? I guess if they can’t get the Chinese to implode our system, the globalist in Washington are more than happy to do it for them. Am I missing something here people? It is coming but to force it to come faster is insane, especially without a viable alternative totally in place. Imploding the dollar IS the point. Hegelian Dialectic. Problem, problem, solution. Solution: NWO currency? New de-valued dollar? Martial law? Nationalize Bank accounts & retirements? Whatever they want! The elites plan to crash the US system, even if they can’t pull down Russia & China. The game changer is any action that uses their own force against their system: don’t spend $, don’t use credit, withdraw cash from banks, PMs, don’t pay automatic withholdings, etc. U.S. Army troops will lead an international military exercise inside western Ukraine later this month. The exercises, known as “Rapid Trident 2014,” will begin Sept. 15 and include troops from several NATO and NATO-partner states, including Ukraine, Azerbaijan, Bulgaria, Canada, Georgia, Germany, Britain, Latvia, Lithuania, Moldova, Norway, Poland, Romania, Spain, and the United States. How does one do this type of exercise with a war taking place. While Mr. Kotlikoff is a smart man and offers up reasonable arguments as to what is happening, his solutions leave much to be desired – if you value Liberty. I have read and listened to Mr. Kotlikoff at length over the years and his solutions to issues such as what plagues the SIPC etc., are essentially: More Government. Notice also that Mr. Kotlikoff was adamant that he wasn’t a ‘Republican’ rather, he wanted to ‘help’ – which is fine, but Big Government types generally speaking, don’t associate themselves with those who value solutions independent of Government decree. Paul Craig Roberts is another – while he quite accurately portrays the system as corrupt, his ‘solutions’ consist mainly of: More Regulation. What bright minds often overlook – perhaps dismiss even, is that we have already seen – time & again, what Government ‘solutions’ and regulation look like – and $$$cost. Authoritarian regimes have all the ‘regulation’ one could ask for and more – but that does not mean society is any less corrupt or happier. In fact, quite the opposite. Time to talk with Dr. Black again! Pup is down. Where is Brown? WHERE IS BROWN? THERE IS BROWN! Mr. Brown is out of town. BACK BLACK Brown came back. Brown came back with Mr. Black. Please get Mr. Black back!!!! ‘Hop on Pop’ and ‘Yertel the Turtle’ are both really good books. Relive your childhood and read the if you get the chance. The last great President we had was Sir Ronald Reagan….all Dems must repent…. To be fair, then before Reagan it was JFK…. We had JFK, then skunks, then Reagan, then Skunks again….and these skunks are toppling us from inside…. After listening you have to wonder why Madoff is in jail. Why aren’t the guys at JP Morgan, et al in jail with him. And No one is protecting the Nuclear plant outside DC. Big trucks drive in without being challenged, much less searched. I pray that God protects us as our government isn’t. I mean, snap. Is this going to require another 9/11 event to get them to spend the money on security? Are we really this stupid? Scratch that. OF course we are. A country is only as good, only as strong as its leaders. America has its first social promotion President, elected not because of his abilities and accomplishments but because he is half black. Just like children are graduating High School without being able to read because it would hurt their self esteem, America elected a President, not once but twice, because it was “time” for a black man to be President. Greg, its shocking how you can hold war games in the Ukraine if there is a tentative truce in the works, seems like it is designed to get a hot war started once again, certainly provocative. When a truce is in effect the last thing you need is more military in the region provoking at the other side; what planet is our State Dept. living on, or is it that peace is not the objective but starting a new cold war with Russia might be. The State Department might want to be careful a cold gun can get warmed up with just a few bullets fired from it. On ISIS, Obama finally has to fire on his beloved “religion of peace”, maybe he can pray for forgiveness at Friday’s Prayers. Messrs K and H assure the public their production will be second to none. I believe that names are not a matter of chance.Mr Hunter is tirelessly hunting the Truth and should be thanked for that (although sometimes reality is minimized). But I would like Greg to invite this Tremendous guy:Mr Jim Willie. I adore his verve.I am impressed by his huge network of sources,his knowledge and his forecasts.I appreciate a lot Mr.Paul Craig Roberts,the man who says No to the System (to remain polite) and Mr.Gerald Celente ,a gentleman as kind as honest. So,Greg, if you could invite one of these important and very interesting persons,it would be great.And once again thank you.I am Tunisian and i never miss one of your interviews. Thank you both good guys indeed. good grief. does he always struggle with words ? Greg did you see this headline? The economic sanctions imposed on Russia are almost laughable. The only country being isolated is us. I fully expect that once the Russians and Chinese finish the gas pipeline, the BRIC nations will pull the plug on the dollar. Greg do you remember when someone ” reportedly ” blew up the gas pipeline in Ukraine a few months ago? Connect the dots. Ukraine is the dollars Waterloo. To me this is the sadist news coming out of Ukraine. That innocent women and children were used as pawns by western cabals to stall off a Russian invasion in mid July. Our nation is being literally carved up like a thanksgiving turkey (FEMA regions) by these people, and when they’re done draining every last drop of wealth from it, they’re going to drop it like a pair of dirty underwear and use that wealth to buy a spot at the table with the Chinese. It just sickens me to watch these people get away with murder. I would look at the comparison’s of then and now. Ronald Regan also started NAFTA, Bill Clinton put it in motion. Gregg, I know your heart is in the right place, but this Republican/Democrat thing is too 1960s. Intriguing interview with Dr. K. Sounds like an insurance bail-in….Would it be possible to get Peter Schiff to comment on Dr. K’s thesis that SIPC is an insurance scam. What is that money going to be worth in 6 years? If they devalue the dollar they’ll ask for the money back in the new currency worth much more than my devalued $$ saved. So if you have a bank account….I’m trying to understand the implications of this…. A court ruled that by investing money with a fraudulent broker that the investors have to return any gains plus whatever amount they want. So by extension, what is keeping them (government or other agency) from holding anybody with a bank account responsible for the criminal activity of a bank and demanding that money back? SIPC’s Rebuttal To Kotlikoff: Don’t Close Your Brokerage Account! Very important to view all the facts.